I came into your store on 17th December 2013 and did some shopping. I received great customer service from sales assistant Matino and really enjoyed my overall shopping experience. 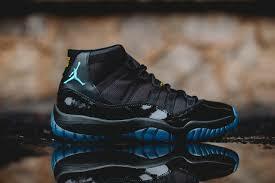 However, I bought two pairs of your Gamma Blue Air Jordan 11 Retro sneakers. The adult size had a rip in the tongue of the shoe and the child size had several scuff marks and scratches. Bystanders were astonished at the poor condition of my purchase and advised I swap them both for two new pairs. On the box it clearly states these shoes are ‘number one worldwide’ as well as being ‘the best known sportswear and footwear retailer’. This complaint is mostly directed at the store manager and Auckland district manager. I expect a written letter of apology and a full refund for $400.00 or I will take legal action.